This book analyzes the origins of the relationships between Islamist groups and Pakistan’s military, and explores Pakistan’s quest for identity and security. Among U.S. allies in the war against terrorism, Pakistan cannot be easily characterized as either friend or foe. Nuclear-armed Pakistan is an important center of radical Islamic ideas and groups. Since 9/11, the selective cooperation of Pakistan’s president, General Pervez Musharraf, in sharing intelligence with the United States and apprehending Al-Qaeda members has led to the assumption that Pakistan might be ready to give up its longstanding ties with radical Islam. But Pakistan’s status as an Islamic ideological state is closely linked with the Pakistani elite’s worldview and the praetorian ambitions of the Pakistani military. This book analyzes the origins of the relationships between Islamist groups and Pakistan’s military, and explores Pakistan’s quest for identity and security. 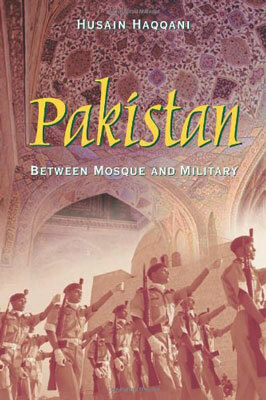 Tracing how the military has sought U.S. support by making itself useful for concerns-of-the-moment—while continuing to strengthen the mosque-military alliance within Pakistan—the book offers an alternative view of political developments in Pakistan since independence in 1947. Husain Haqqani is a former visiting scholar at the Carnegie Endowment. He is also a leading journalist and former diplomat, who served as a former adviser to three Pakistani prime ministers. He is a syndicated columnist for Indian Express, Gulf News, and The Nation (Pakistan). "[Haqqani's] analysis will reward anyone who seeks to understand one of the most perplexing foreign policy challenges facing the U.S. today." "An old joke told by Pakistanis holds that three A's count in their country: Allah, army, and America. In his insightful history of his homeland, Husain Haqqani shows it is no joke." "In this cogent, well-informed and extraordinarily informative book, Husain Haqqani describes in detail the unholy alliance between Islamists and military officers that has shaped Pakistan’s past and may well determine its future. An important and disturbing tale, deftly told." "Husain Haqqani has seen Pakistani politics close up. But his book is much more than a memoir: Haqqani has produced a provocative and controversial history revealing the depth of the links between the army and the Islamic radicals. Required reading." "We are in Hussain Haqqani's debt for providing the authoritative account of the linkages between Pakistan's powerful Islamists and it's professional army. He conclusively demonstrates that these ties are long-standing, complex, and very troubling. This brilliantly researched and written book should be required reading for anyone who wishes to understand this increasingly important state." "The book should be welcomed for both its content as well as its timing, by political analysts and common citizens of this tormented land. Simultaneously, it should merit consideration by the establishments in both Pakistan and the United States, given the fact that not only is Pakistan the recipient of massive amounts of assistance from the US, but that Washington has declared Pakistan, and more importantly its military ruler, General Musharraf, as a lynchpin in American plans for combating global terrorism." "For gaining a grasp of the situation [in Pakistan] and its implications for the United States, there may be no better place to begin than Pakistan: Between Mosque and Military."